Gene Simmons to throw beer festival in downtown L.A.
Rock star/opportunist Gene Simmons is bringing his growing beer empire to downtown Los Angeles, at least for a week. The Kiss leader, with celebrity chef Wolfgang Puck and restaurant impresario Michael Zislis, will stage a seven-day Octoberfest celebration at downtown’s L.A. Live. Full details about what beer will be available hasn’t been made public yet, but Simmons is no stranger to craft beer. He’s a partner in the budding Rock & Brews chain, which has its flagship location in El Segundo. Just don’t try to pin Simmons down on what kind of beer he favors. In an interview about his beer ambitions with Pop & Hiss, Simmons dodged a question about L.A.’s fast-rising craft beer scene and instead said he simply favors customer choice. 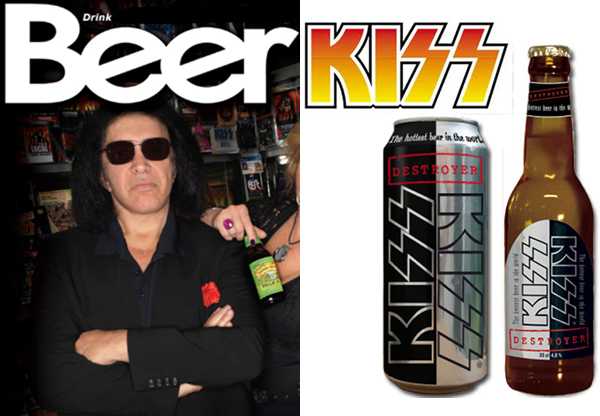 American beer drinkers also can’t sample the Kiss-branded Destroyer lager, which is brewed in Sweden and has limited availability outside the country. That’s probably for the best, at least judging from the few reviews available on BeerAdvocate. “The only thing it destroys is good taste,” wrote one reviewer.